Assistance for getting in and out of bed. Can be used on either side of the bed. Removable handle. Easy, quick, no tool assembly. Comes in 2 pieces. Safety strap wraps around mattress or box spring to ensure a secure fit. 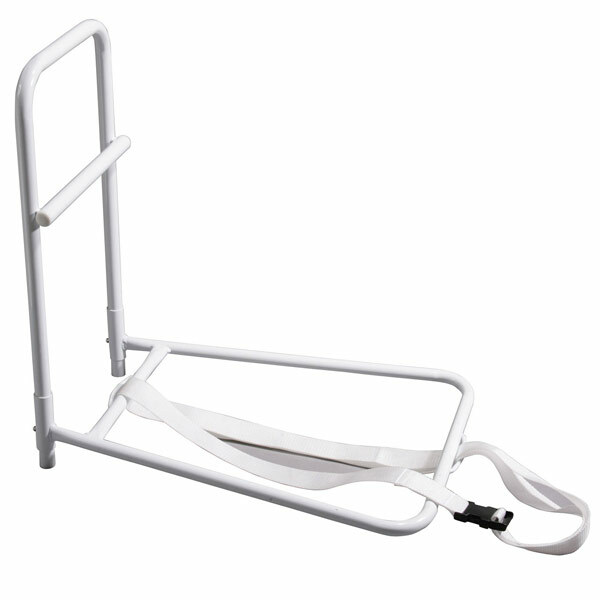 Special extra long safety strap enables user to be in a single, twin, double, queen, or king size bed. 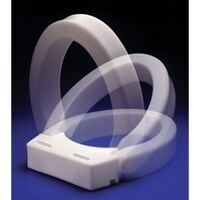 Made of powder coated steel for long life and easy cleaning. Handle with the “Mid Bar”, creates easy grip for any height use. Rail dimension: 11. 5" (W) x 20. 75" (H) x 21. 5" (D) Weight limit: 250 lbs.